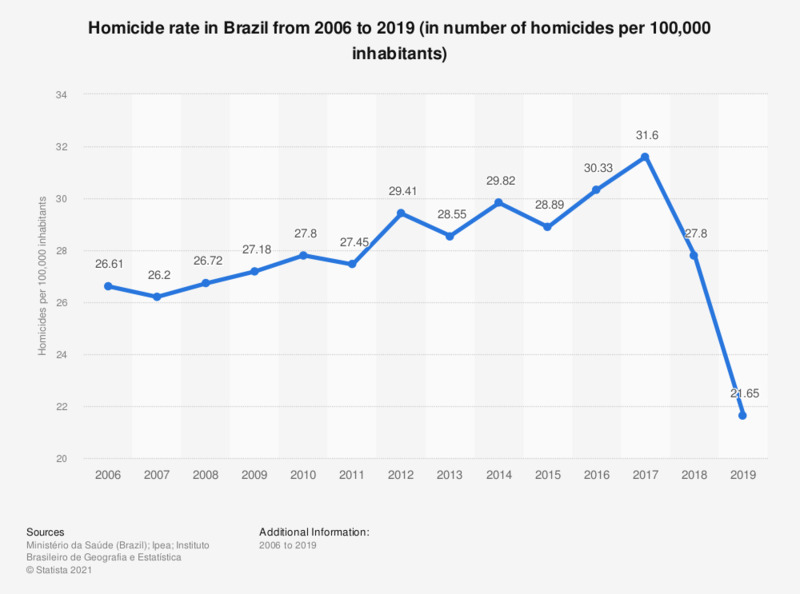 This statistic displays the homicide rate registered in Brazil from 2006 to 2016. It was found that out of every 100,000 inhabitants in the country, approximately 30 were murdered in 2016, up from about 29 homicides per 100,000 inhabitants a year earlier. The homicide rate among men in Brazil stood at 57 murder victims per 100,000 inhabitants in 2016.